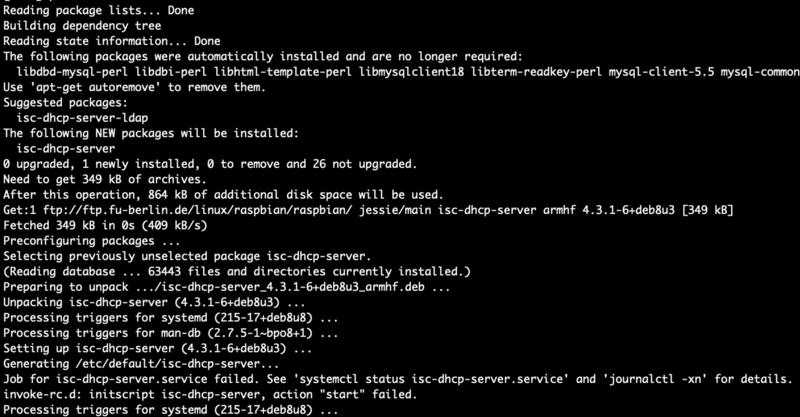 DHCP Server on Linux with Raspberry Pi | It`s full of stars! This entry was posted in Raspberry Pi, Technology and tagged debian, dhcp, dhcpd.conf, ip, isc, lease, linux. Bookmark the permalink. Pingback: Assign a static IP to DHCP client | It`s full of stars!